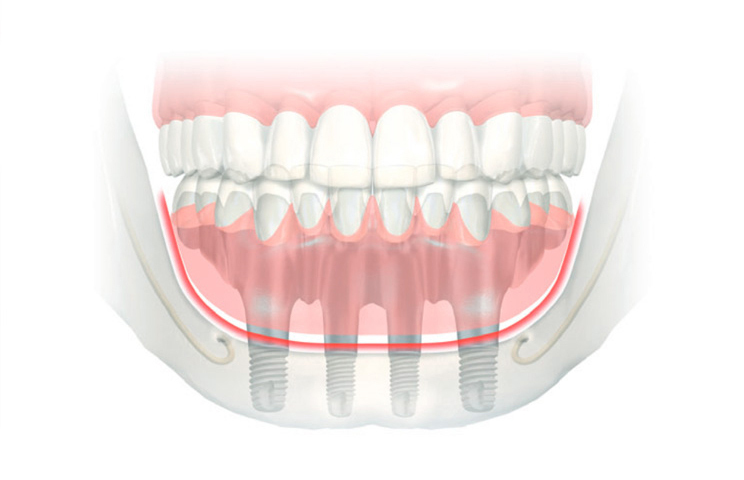 All on 4 dental implants although at some point similar as other dental implants rather it makes for anchor points for your jaw bones in the entire mouth. 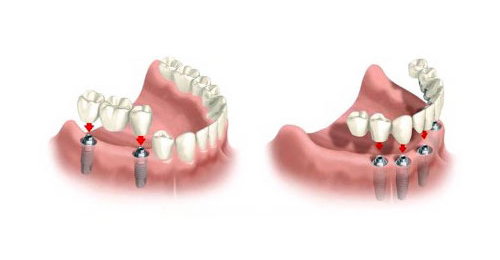 Procedure of All on 4 dental implants is extremely simple. 1. First of all the dentist preparing for all on 4 dental implants will make you comfortable and he or she will insert anesthesia depending on the requirement. 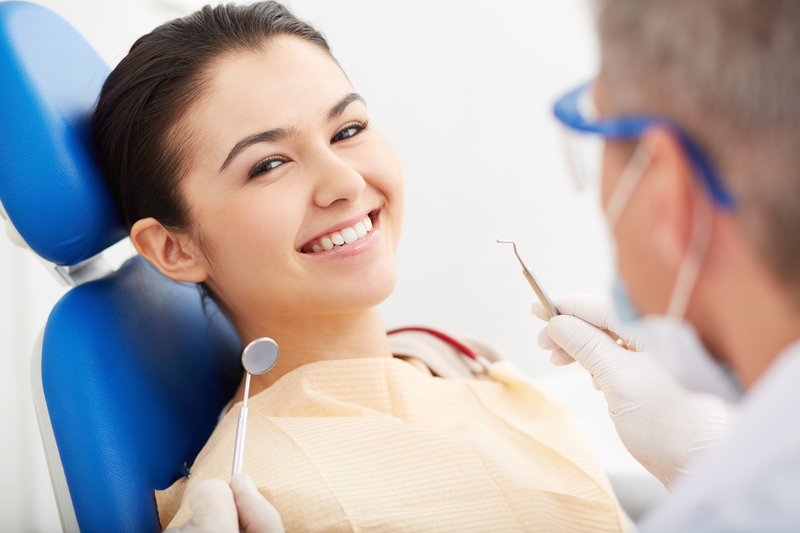 Depending on your medical condition, he will chose from local anesthesia or general anesthesia. 2. In the next step, the dentist will examine your mouth and prepare it for all on 4 dental implants. Any remaining falling teeth will be removed first of all. 3. Now, after these two steps the dentists will begin titanium screw in your jaw bones. 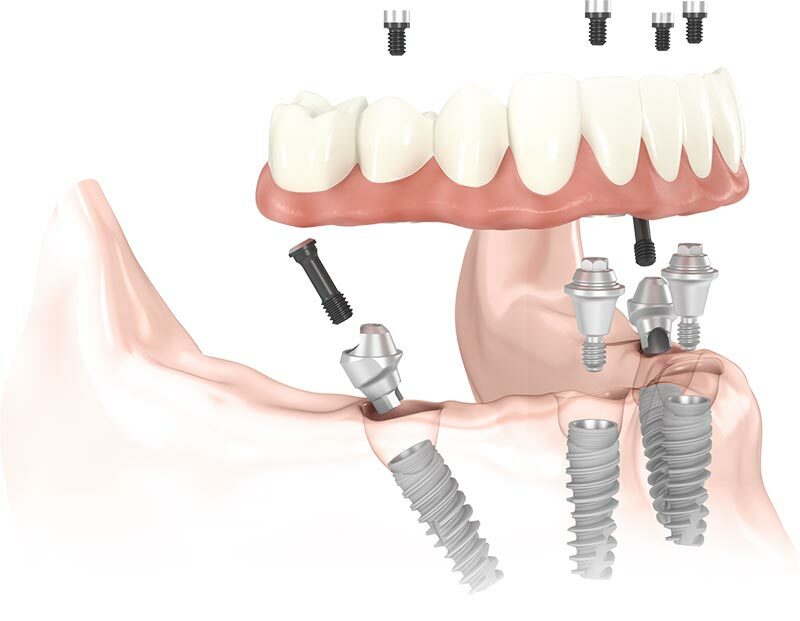 Two implants will be placed in front of your mouth and two in the back of your mouth. That is why this is known as all on 4 dental implants. Are you also looking ahead for all on 4 dental implants? If yes, then you can get in touch with Winston Omp that can prove a great assistance for your teeth loss. Apart from being an integral part of human body, our teeth play a pivotal role in our personality. It enhances our self-confidence which is considered as the core term for success in any walk of life. There are several reasons that cause teeth/tooth missing or some other dental/oral issues affecting our everyday life badly. The advent of the Advanced Dental Implantology proves to be the most desirable and adorable substitute securing the removal of all the dental/oral negative concerns. The only focus is required with finding out the most certified dentist whose experience may promise a guaranteed dental solution. By dint of furnishing a huge popularity and authentic identity, ‘Winston OMP’ has become a leading and recommendable name for employing the latest, absolute and medically proven methods. We are based in Singapore, advocating techniques in Advanced Dental Implantology. We have a team of greatly qualified and highly experienced Dentists and Surgeons who are focused on patient care, Furthermore, we are equipped with top-of-the-art devices. 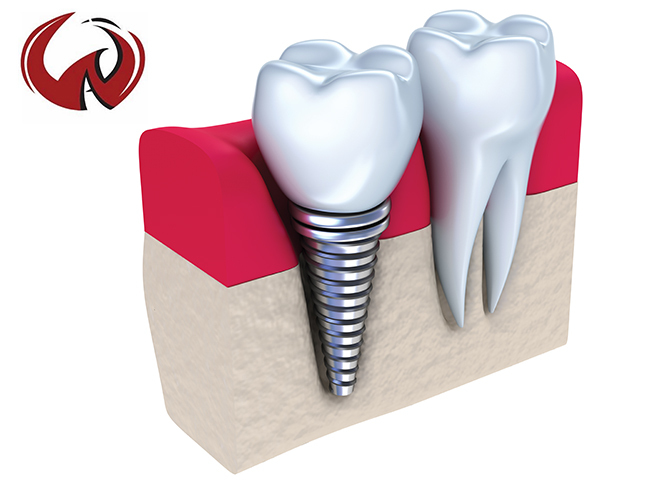 We are the Singapore Dental Implant centre to be considered when comes to dental implants. •One stop solution for the Complete & Effective Singapore Dental Implant, like, Replacement of a single missing tooth or few regular/ irregular teeth, Implanting the complete arc, other complications such as loose implant crowns, peri-implant infection, bone loss, removal of septic, old implants and replacing them with new implants, and almost any sort of dental issue. •Skilled professionals bringing out the exact shape with perfect smoothness through computerized graphics and other relevant program of the current technique. • Raw materials including porcelain, zirconia, Acrylic Resins and Porcelain and others possess efficient quality with a medically proven logo. • Throughout check-up with X Rays and CT scans. • Healthy counselling between our experts and the patients to unveil all the past and on-going health issues, regular medicinal routine (if any). For more details, please visit our website and feel free to give us a call. 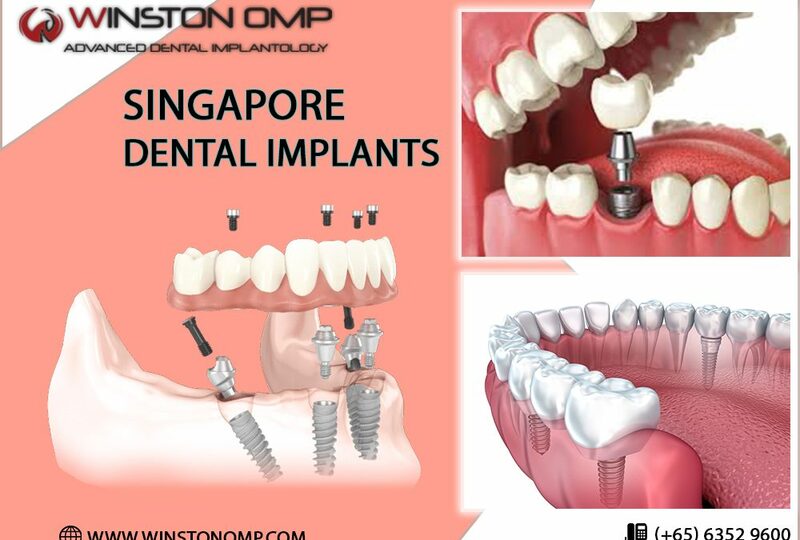 An ideal clinic for Singapore Dental Implant solution from ‘Winston OMP’ will ensure you a complete and permanent dental care for quality and affordable price. We appreciate & value your precious SMILE. Our teeth is an elemental and significant natural gift without which we can’t imagine a healthy, confident and comfortable life ahead. Thus, we need to maintain its, spark and strength applying all possible methods and ingredients. Different remedies and products have been exercised across the world, from the very early age keeping our teeth perfect and clean. 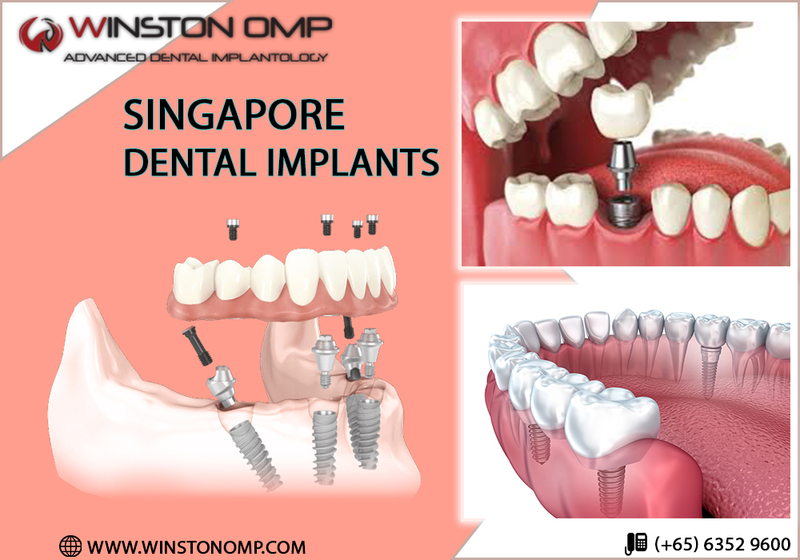 Apart apex of so many existing advanced options across the globe today, the term ‘Dental Implant Singapore’ brings you the most secured and effective dental solutions through ‘Winston OMP’. With a fair and broad identity, we have been committed to provide our all clients the most effective results that they hope for. We are proficient enough delivering the most personalised, latest and adequate method to every individual case. Among the incalculable boons of Advanced Medical Science and Applied Medical Researches, the term Dental Implantation has come up with lots of answers against number of dental and various oral issues. It is a surgical component, interfacing the jaw bone or the skull in order to sustain a prosthesis, such as, a crown, bridge denture facial prosthesis or just acting as an orthodontic anchor. Ergo, with years’ experience, we possess a large and successful record of Dental Implant Singapore. 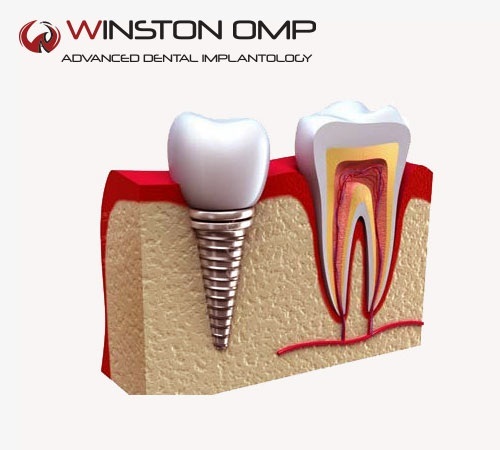 While on the next hand, opting a Dental Implant Singapore service from ‘Winston OMP’ may differentiate your experience in the following ways. • A dedicated, responsible and highly skilled team of qualified and certified Dentists, Dental Surgeons, Nurses, Counsellors and other professionals who execute every part of their job promptly and accurately. • Highly equipped with sophisticated medical devices and investigating machines – fast and exact report – quick and effective remedy. • Medically tested and top quality Raw materials ensuring the most effective and desirable benefits. • Renowned name for Exact Design, Smooth finishing and durability. We, promise our clients to provide the best assistance keeping in view at their routine and other activities. For more information, please visit our website and feel free to contact us either for any query, or for any suggestion or just to book an appointment with our Dental Implant Singapore counsellors. We cater an excellent service for the most competitive and reasonable price. With the All-on-4 treatment protocol, removal of bad teeth, placement of implants and fixing full sets of teeth onto them can be done in a short amount of time. If you have missing teeth, your dentist may recommend having them replaced with artificial teeth so as to avoid further problems caused by the absence of teeth. There are 2 ways of having this done, with implants or bridges. So which is better? Requires the presence of firm strong teeth at each end of the missing teeth to fix the bridge. Requires the removal of the outer shell of these supporting teeth at either end to fit the bridge. This can result in these teeth requiring additional root­ canal treatment. Removal of the outer shell of the supporting teeth at either end renders them prone to decay at their margins. The supporting teeth have to be kept clean and maintained well for long term success. Upfront cost is less as no surgery is necessary. Useful in situations where implants cannot be done. Bone continues to shrink and be lost at the missing teeth areas replaced by bridges. Secured into bone and do not require the presence of natural teeth for support. Full mouth reconstruction is possible without any existing natural teeth. Do not require adjacent natural teeth to undergo any additional treatment. Adjacent natural teeth are not disturbed in any way and are not rendered more prone to decay. Implants also need to be kept clean and maintained well for long term success. 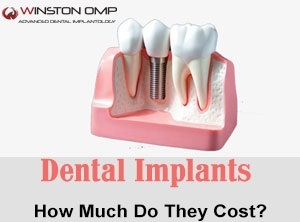 Upfront cost is more as surgery is necessary to place implants into bone. Requires good bed of bone for implantation. Sometimes, bone grafting is necessary. Bone is preserved around areas where implants are present. Speak to your dentist and they will advise you on the suitability and pros/ cons for your teeth replacement. While we are all familiar with dentures as a common solution to missing teeth, most of us do not have the facts when it comes to dental implants. For most patients, the benefits of dental implants far outweigh those for dentures. You can replace a single tooth with a dental implant. Your new tooth will work just as well as your natural teeth. If your gums and surrounding teeth are healthy, you can opt for multiple implants alongside your healthy teeth. If you are missing all of your teeth, you can replace both upper and lower sets of teeth in just one day. And the results are permanent.